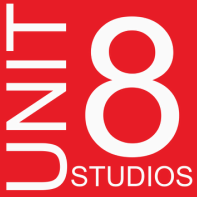 Welcome to Unit 8 London Recording Studios! We are a Hackney, London Fields based recording studio with rehearsal and Vinyl Record pressing and mastering facilities. Run by a tight-knit group of musical addicts we offer everything from professional Recording, Live Video Production & Rehearsal Facilities to Sound Design, Vinyl Mastering & Manufacturing - we also have a 130 cap event space kitted out with a stage, minibar, lights and a serious sound system so you can showcase your sounds the simple way without compromising on quality. But we're more than just a one-stop shop, we’re a meeting place with old-school attitudes and an atmosphere to match - so whether you want dubplates or a jam with mates we’re here at hand 7 days a week. Our experienced team clients include Ulterior, Years and Years, Citizens,Pressed Records,The Brut Chorus, Machine Management, The Brut Chorus, African Head Charge, Non Classical Recordings,Black Slate, Farout Records, Ruby and The Ribcage, Gentleman’s Dub Club, Submotion Orchestra & True Tiger to name a few.